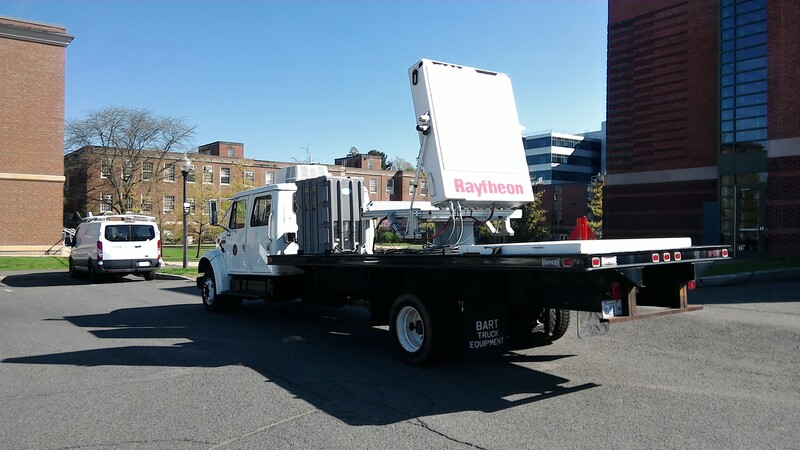 MIRSL is collaborating with Raytheon in the advancement of phased-array radar technology for weather applications. Pictured at right is the "Low Power Radar," an X-band, dual-polarized, phased-array radar developed by Raytheon employing low power solid-state radiating elements. The array consists of 2560 individual antennas, each with arbitrary amplitude, phase, and polarization control. With support from the National Science Foundation, MIRSL is adapting this prototype radar for mobile "storm chasing" studies and for detailed evaluation and intercomparison with conventional dual-polarized weather radar.